We were at Legoland this week and my children wanted to ride the electric cars. 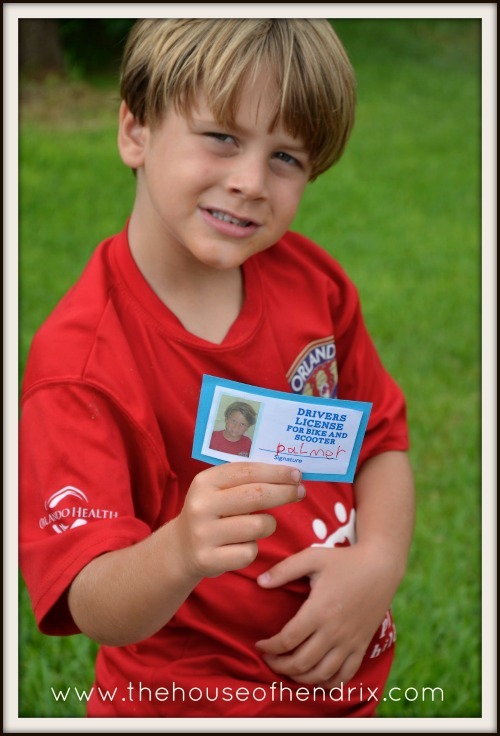 Before a child was allowed in the car, their picture was taken for a “Driver’s License”. Upon receiving this Driver’s License (which was nothing more than a business card with some blanks), my youngest son’s entire demeanor changed. He felt responsible and trusted. 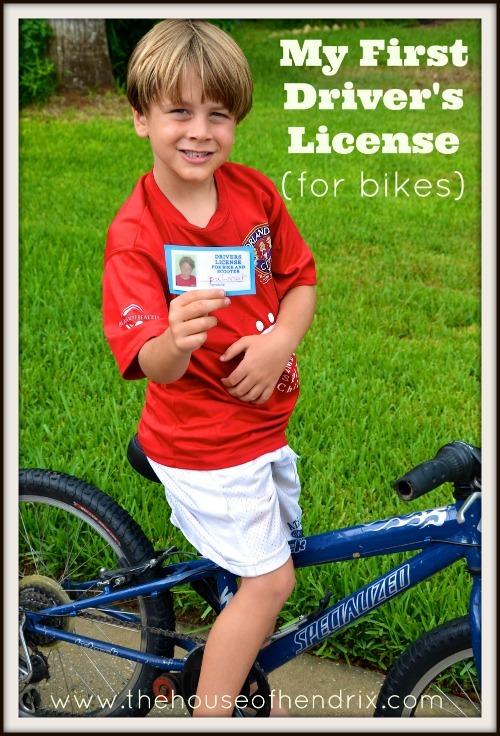 He wanted to make sure he obeyed each and every rule because he had been entrusted with this license. This small card was the highlight of his day and really boosted his ego. You never know what is going to click with children. This license did, so I decided to use it for my benefit. 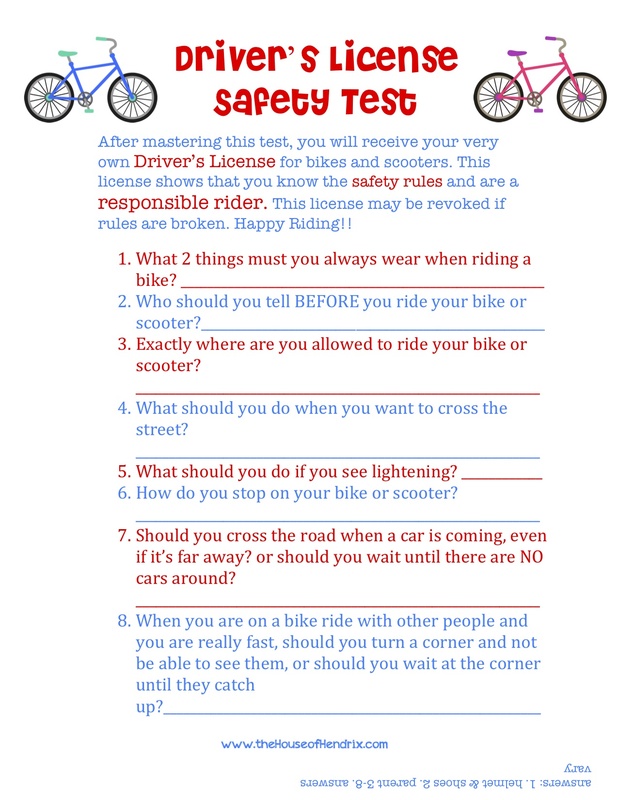 I created a “Driver’s License Safety Test”. 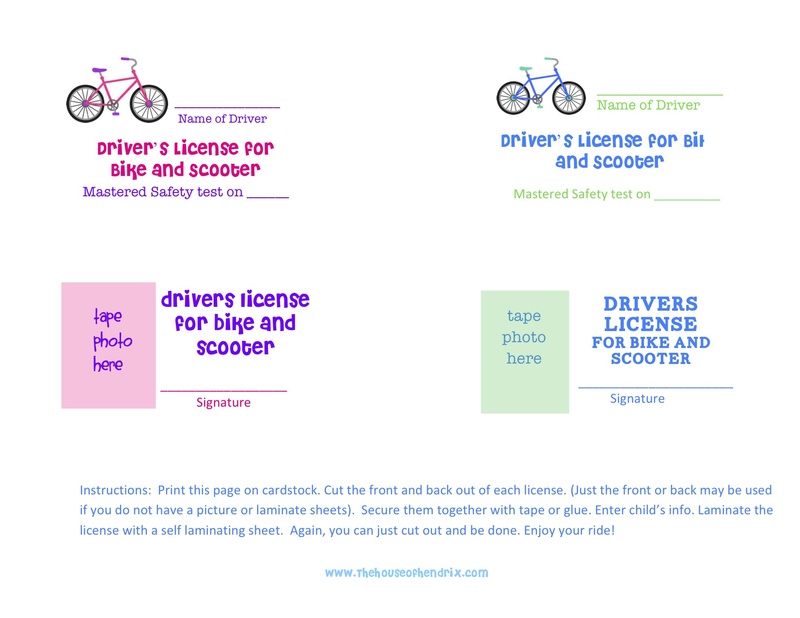 If a child passes, they will be rewarded a “Driver’s License for bikes and scooters“. It’s proof that they know the safety rules of riding a bike/ scooter. They understand the license can be revoked if a rule is not followed. To have your very own Driver’s License can be a rite of passage, a step up in responsibility which develops confidence. It is a great tool if a child is receiving a new bike or scooter. The license can represent the responsibility that comes with it. It is exciting. The expectations are clear. Happy Riding! We have a pig. Yup, smack dab in the center of our dinner table is a pig. He’s been there for a few years and is responsible for bringing back PEACE to our family dinners. Here’s how it happened. 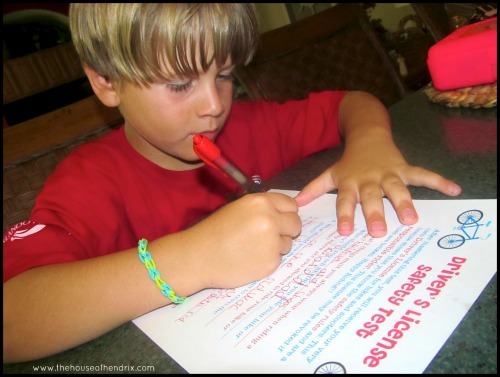 I wanted that dinner table with a hot, healthy meal and a loving family gathered around. My husband would ask grace and then my well-mannered children would pass around the plates of food as we chatted about our day. Yeah, NOT! 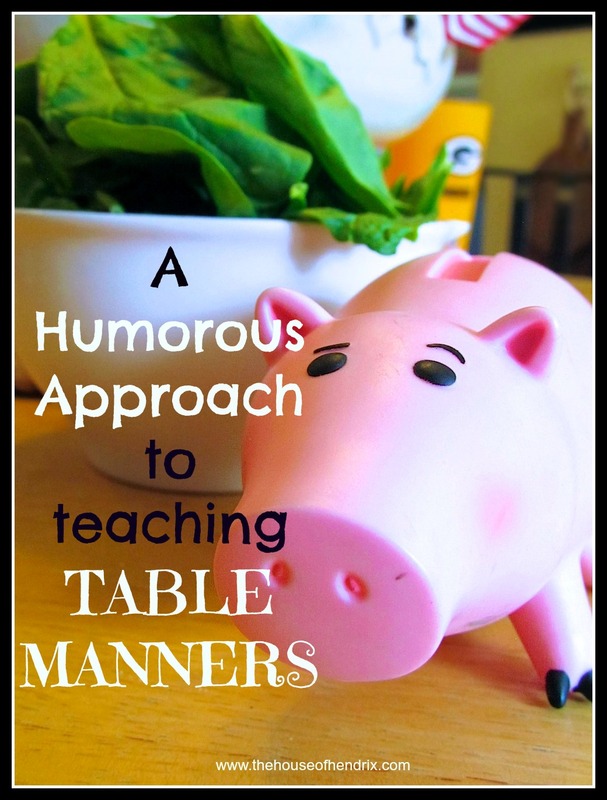 During one exasperated dinner when my sons repeatedly burped during the prayer and then peas were thrown in protest to somebody chewing with their mouth open, I had had enough! My dinner table was completely filled with correction not conversation. It was not fun for anybody! In my desperation for sanity, I grabbed a rubber pig from the top of the toy bin and began a rant about how they were behaving like 3 little pigs. Their mamma fear turned into belly laughter as I laid down the new law of dinner time. If you burp, toot, or make an inappropriate bodily noise, You get the Pig! Every time you have a sharp tone or rude words, you get the Pig! If you chew with your mouth open, or…try to throw food into somebody else’s mouth while it’s open, you get the PIG! Napkin in your lap, not on top of your sister’s head or else, PIG! Rocking in your chair, getting our of your chair, falling out of your chair, PIG! The pig will move from person to person as laws are broken. Whoever ends up with the pig at the end of dinner does everybody’s dishes. I felt better and they were roaring in laughter. This was our new dinner standard. Still is. It’s not your regular chalkboard saying “In this family, we love…we forgive…we say please and thank you.” But it’s ours. The dinner table is no longer a place of constant correction, we just pass the pig. The behavior that used to bring dissention to our meal, now has brought laughter… and with that, joy…and a table I want to sit at. I’d love for you to follow the House of Hendrix below and if you haven’t already Like us on Facebook.